Cry Alas! Cry Alas! The Water Has Broken! How fascinating that Yahushua chose to use childbirth to describe end time events. We all can relate to the great anticipation of the birth of a child. Truly, a wave of mixed emotions, of fear, pain, restlessness, helplessness, panic, anxiety, and worry may overcome the soon-to-be mother. Any pregnant woman who approaches that time to give birth can writhe, groan, gasp, pant, scream, yell and may even cry out in labor pains. Childbirth is known to be extremely painful as literally the pelvic bone and even the tailbone have been known to break during childbirth. Scriptures state the pain would be greatly multiplied during childbirth and that children would be brought forth in pain (Bereshith|Genesis 3:16). Yet once the child has been brought forth, the woman soon forgets all that pain she had to endure (Yohanan|John 16:21). That is also quite amazing and something we all need to consider. As students, we also need to fully understand that these end times events are not going to be easy. We, the Bride will be here going through this birthing process. There are a few signs to tell when labor begins. One sure sign is when the water breaks. Once this occurs, the uterus starts to contract more frequently. As the contractions come closer and closer, they also increase in the severity of intense pressure and squeezing from the baby moving down into the birthing canal. In order for this physical labor to be successful there are four key fundamental parts (known as the Four P’s) that need to occur for a successful delivery. The very same concept applies for the rapidly approaching spiritual labor on the horizon. To bring about any productive labor, all four keys have to be working together. Both are life changing events. Yet, dependent upon how one handles these four keys will greatly determine the outcome. Let us therefore examine what will progress a successful delivery. POWER: As with physical childbirth, if the soon to be mother does not produce strong enough contractions or loses strength at the end of the labor the birthing process is greatly hindered. Yet, we know that by clinging to every word of Yahuwah we will be empowered to overcome these labor pains as the power belongs to Yahuwah (Tehillim|Psalms 62:11). PASSENGER: During physical childbirth sometimes the birth canal can be too small for the growing baby to be brought forth. The child can become too large for the woman’s body to deliver. When this happens she desperately needs positive coach members to help assist her to remain calm. Since we are in the threshold of this earth age ending and the second coming of Yahushua the Messiah; I would say this passenger is going to be a very large one. We know Scriptures state that the End Time events will be the worst time in all of history. There has never been a time like this, nor will there ever be a time like this again (MattithYahu|Matthew 24:21). Even the prophet Dani’el was sickened over this time frame (Dani’el|Daniel 8:27). What is about to be spiritually brought forth will literally take the entire Body of Mashiach to be working together as a team! Now is the time to acknowledge that we need one another! PASSAGE: The Passage, of course is the mother’s pelvis. If her pelvis is too small serious issues can arise. A woman must remain relaxed and calm. If she is stressed out, angry or fear grips her, then she will tense up. While tense, her body cannot make the necessary modifications such as proper dilation, baby moving into position to bring forth birth. For spiritual birth, fear can be a great hindrance. When the death decree goes forth, we will be hated by the entire world (Mark 13:13). Since the flesh is weak, fear can easily run amok within the Bride. Therefore, I beseech each of you to understand that we need and yet at the same time are the coaching team to pray, encourage, uplift, comfort, ease the pain and strengthen one another. POSITION: This is extremely important in both physical and spiritual birth. If the baby has not moved into the right position the birthing process will stop. In this case the mother, the baby or both are at a higher risk of dying. In spiritual birth, whoever is not in the right position during the Great Tribulation by worshiping the beast, its image or receives its mark, they will surely die spiritually. We must be in the right position physically, spiritually and mentally to survive the coming Great Distress! We cannot be duped into believing any deception, especially the Strong Delusion! Being in the right position will also help us understand Yahuwah’s plan for humanity. By putting on the complete amour of Yahuwah and having the mind of Mashiach we can overcome all obstacles that can arise with passage, the passenger, position and the powers during this spiritual birth. Being in the right position we will be the first fruits! However, whoever is not in the right position needs to get there ASAP. Global events have already shown us that the birth pangs have indeed started. Not too many will argue that. Yet the great deception lies in how far we are into this labor. Some demand that birth is imminent while others claim we have just now pushed into Great Tribulation. After the recent unprecedented world events, humanity has indeed thrust forward no question about that. As in my humble opinion, I would say the water has broken. Soon humanity will start to experience active labor which is much different than early labor. The contractions will intensify coming more frequent, moving us [ready or not] into the final birthing position! Yet we are not, I repeat Humanity is not yet ready to push. Actually, the hardest part of labor may be the contractions. One would think having to push a baby out would be the most painful. Yet contractions are excruciating. They start out small not seeming like a big deal. Yet soon they work up in frequency and intensity. Contractions, in fact, squeeze the infant into position. Since I believe the water has broken, contractions of natural and man-made disasters along with wars and rumor of wars will increase. At the strongest squeezing, we could very will be at the peak of the Illuminati’s Third World War (starts out with Israel and Palestine). 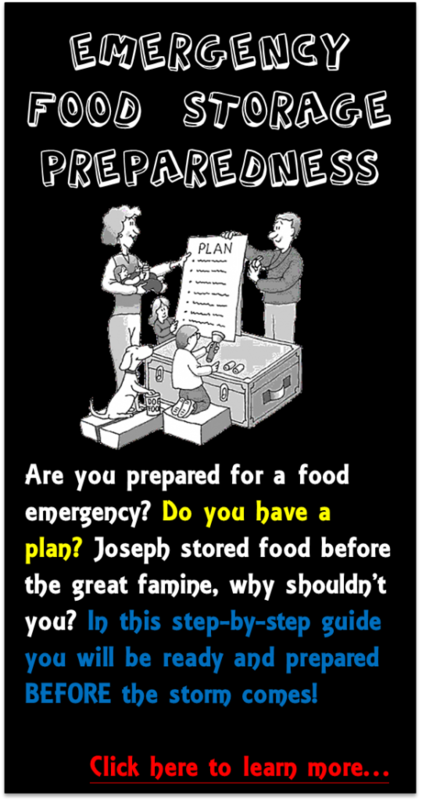 Many will believe we are in the Great Tribulation yet we won’t be as I mentioned previously. Remember these are all just the beginning of birth pangs, leading up to the birthing of the Strong Delusion (the appearance of the Imposter)! 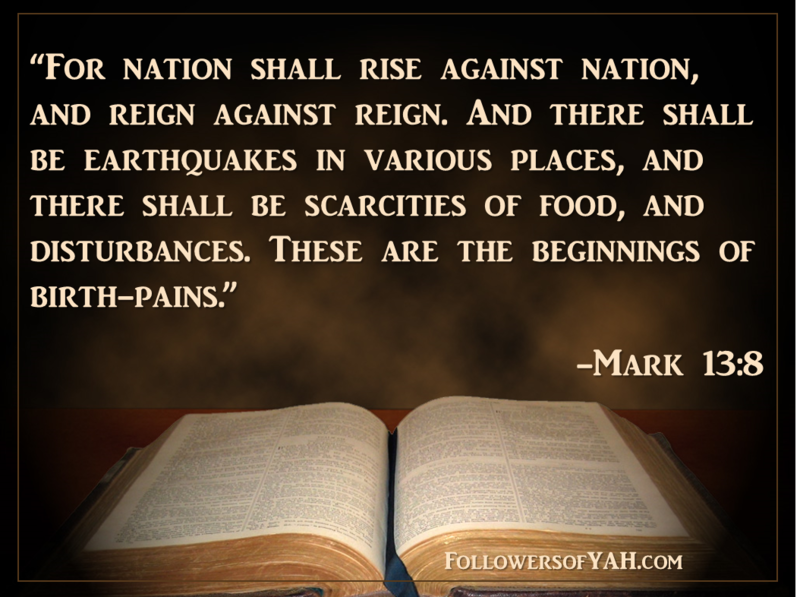 Yahuwah does not pour out His Wrath until after the blasphemous “Abominations that Makes Desolate”! I beseech everyone to not get this time frame confused. Satan and its team are trying to induce labor. The main purpose to induce labor is to get the birth to come more quickly. The goal is to confuse the world into falling for the coming Strong Delusion. We know that this delusion will be so strong that if it were possible even the elect would believe it. 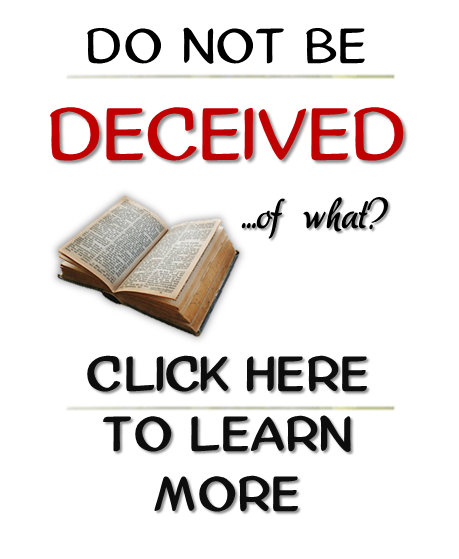 Hear the Ram’s Horn blow…..do not fall for the induce deception! The birth pains are here, we are without a doubt in the Beginning of Sorrows but this is not the Great Distress. The Great Distress is Jacobs trouble [Great Tribulation] not the Beginning of Sorrows! Beginning of sorry is upon humanity Great distress not yet! Jacob’s Trouble does not start until after the Imposter shows up and that will be after we are in position and thus time to push. The kingdom of the Imposter is a global kingdom (Yahushua told us His Kingdom is not of this world) ruling as a global dictator impersonating Yahushua Messiah (Revelation 13:1-19; 16-18). “Then shall they see the Son of man [Adam] coming in the clouds with great power and glory [esteem]. Clearly, Yahushua will return with the clouds. Therefore since the Imposter wants to be like the Most High it too will also descend and make its grand entrance with the clouds. Of course, with the help of the blue beam project technology this illusion can be easily performed. 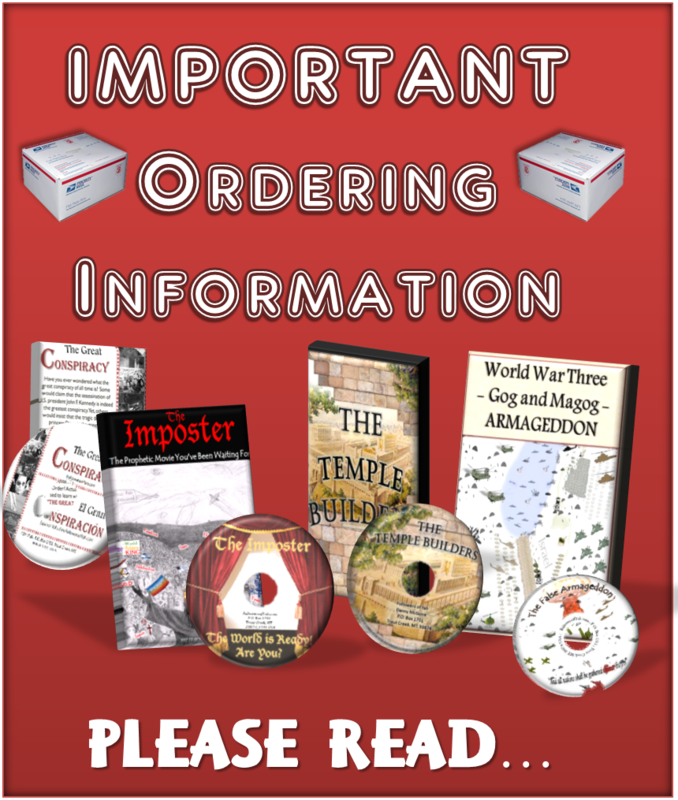 If you do not fully understand any of these key events please request our free DVD’s (The Imposter, The False Armageddon). Because this subject is so crucial we will continue to expose, inform and Blow the Ram’s horn to everyone! There is no possible way, even with all the recent unprecedented events, that we have pushed into the Great Tribulation. However, there is no doubt this labor is indeed progressing forward. The contractions will intensity and come more frequent. Now more than ever each of us need to be clinging to every Word including every promise from Yahuwah! Lastly, we also need to be coaching and uplifting each other during these coming birth pangs! This entry was posted in Currently uncategorized. Bookmark the permalink. One Response to Cry Alas! Cry Alas! The Water Has Broken! Do you or a loved one have a prayer request? Please submit your prayer request today to the email address below. We are here for you, for encouragement, prayer and support. Would you like to be there for others in their time of need? 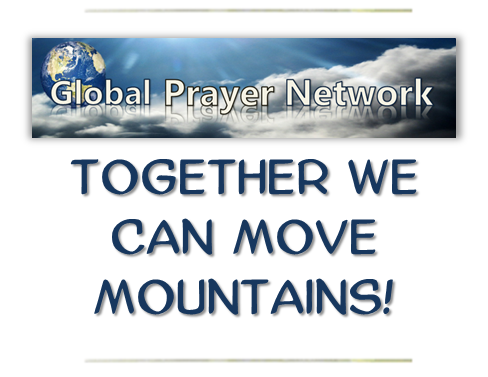 Please, then send an email to global.prayer.network@FollowersofYah.com and every time there is a new prayer request or update on a previous prayer request you will receive an email notification. May You be blessed for your kindness shown towards those in need. Even though the remnant is spread out in this world so far apart we don't have to be lonely. That is why we have our WORLDWIDE Contact Directory. With over 200 posts across the world there are plenty of believers to email or penpal with. HalleluYAH! Please, view our contact Directory, browse around, you may find someone in your area. 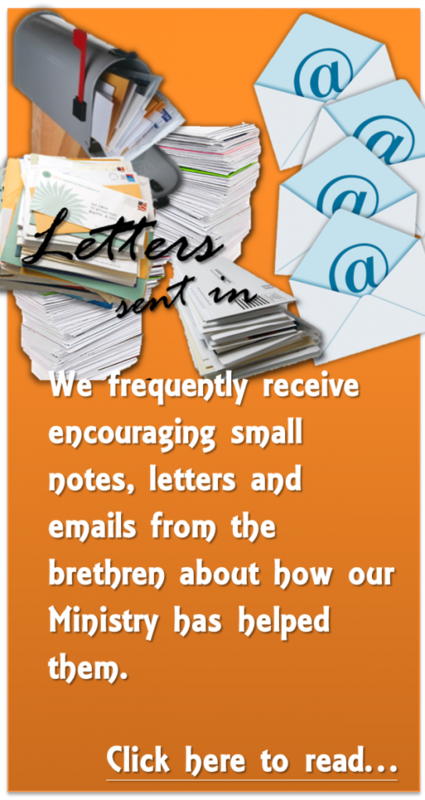 Also, if you desire for other believers to contact you by via email, telephone or snail mail submit your post TODAY! Hurry! Don't hesitate! 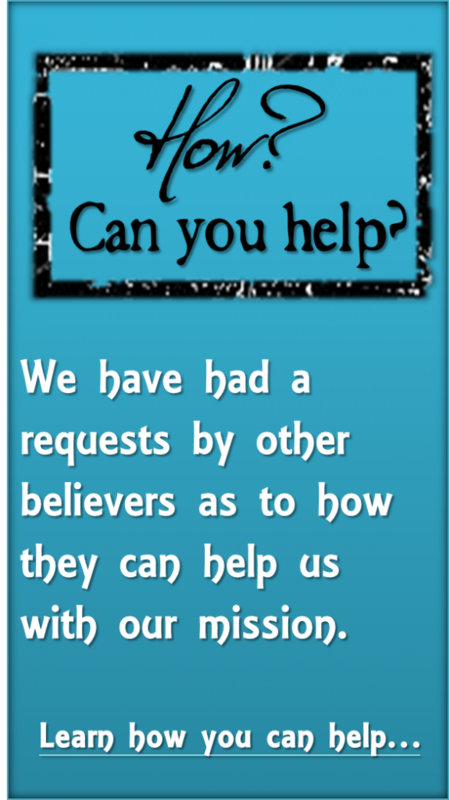 Over 200 believers are waiting for your response! We would also like to announce that our Contact Directory has gotten a new look and format. It is much easier to navigate and search through. 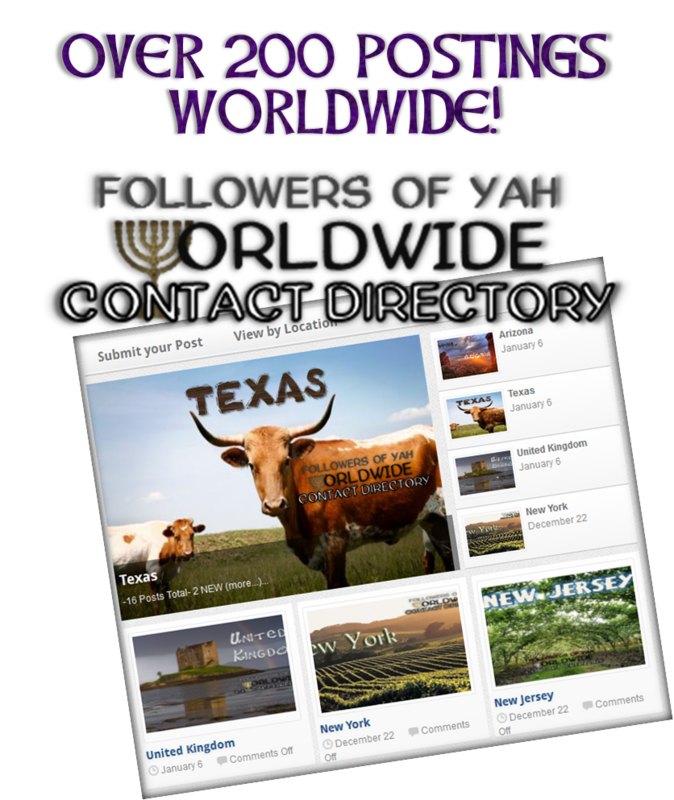 Followers of YAH Worldwide Contact Directory Now! 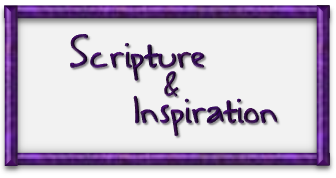 View our continuously growing collection of Scripture & Inspiration stock images. They can be emailed, shared, or even saved as your desktop background! High quality images... FREE! 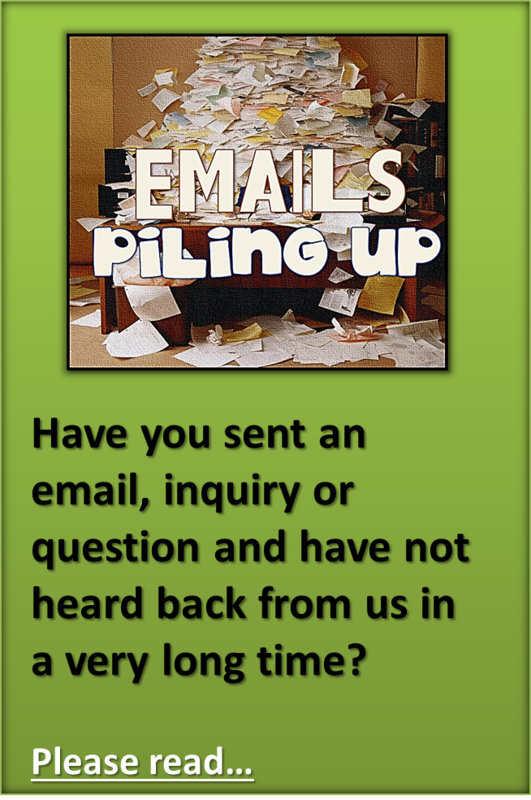 Link us to your website or blog with this image. We, Followers of Yahushua Ha Mashiach are not with ANY denomination. We are an Independent group of believers in Mashiach. We do not hold the 501C tax exempt status and neither are we a FAITH BASED Facility. 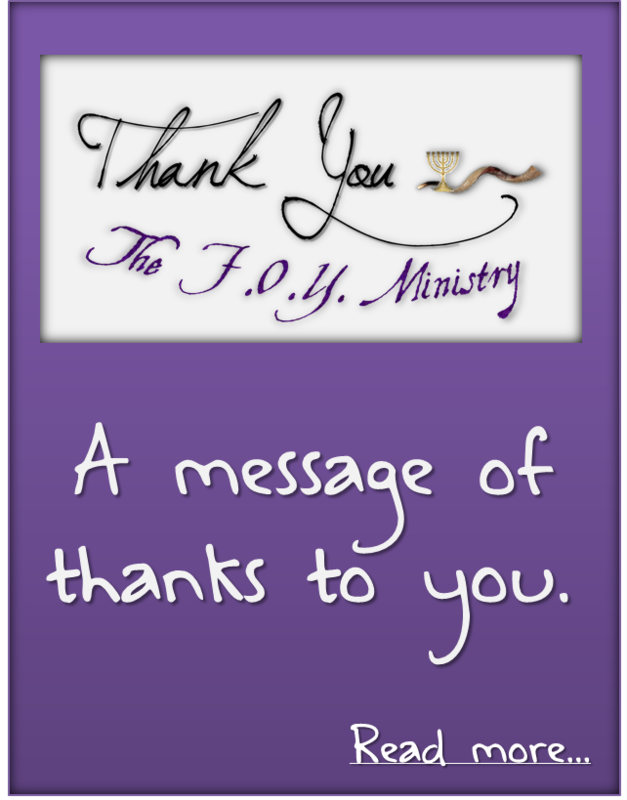 The F.O.Y Ministry is NOT partners with the Government and do NOT have a main headquarters in any region of the world. 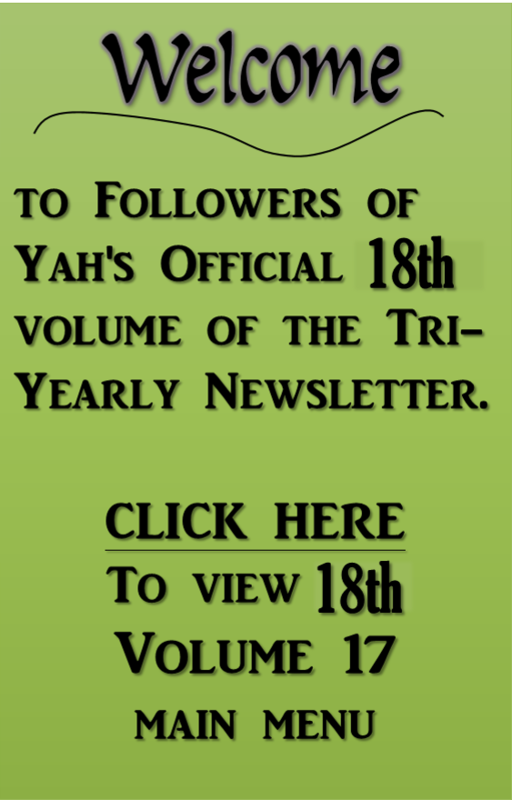 We, FollowersofYah.com are NOT associated with any other group, website, congregation or assembly. Our head is Yahushua Ha Mashiach. What makes F.O.Y. different from other ministries is the fact that we are a 100% FREE ministry. Our many free books , DVDs and tracts will equip you in helping us reach the Lost Sheep of Yisra'el! Let us blow the ram's horn together! 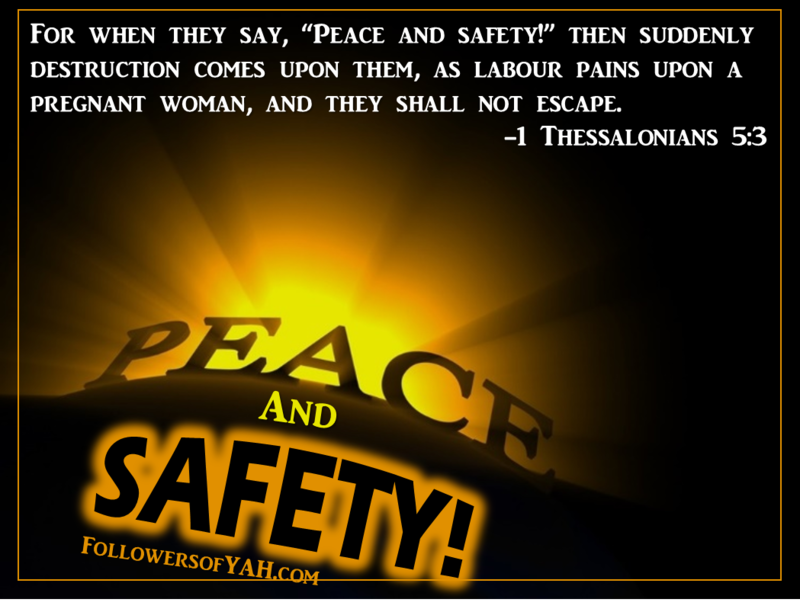 Followers of Yahushua Ha Mashiach strongly believe Proverbs 23:23, "Buy the truth and sell it not!" Yahushua also told us in Matthew 10:8, "Freely you have received, freely you shall give."